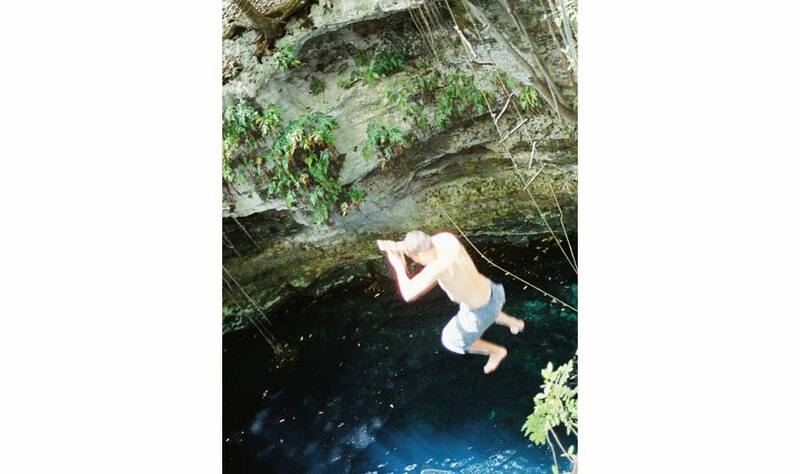 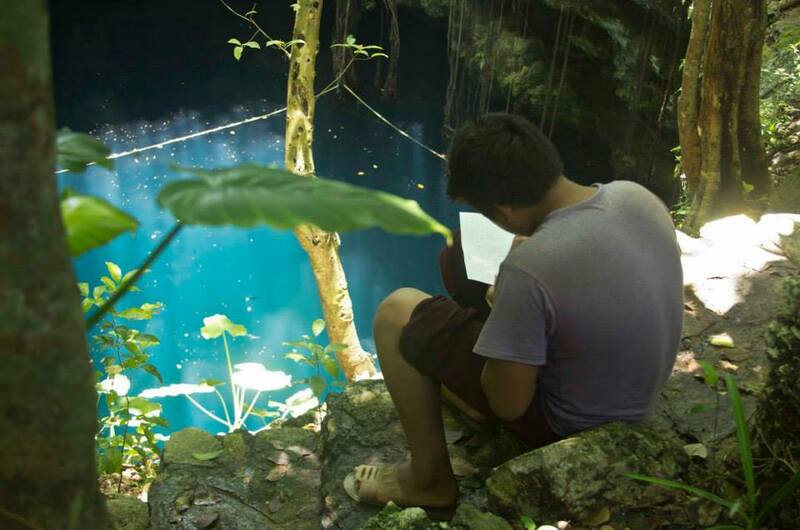 Writing his thoughts, a poet takes inspiration in the solitude beside the cenote. 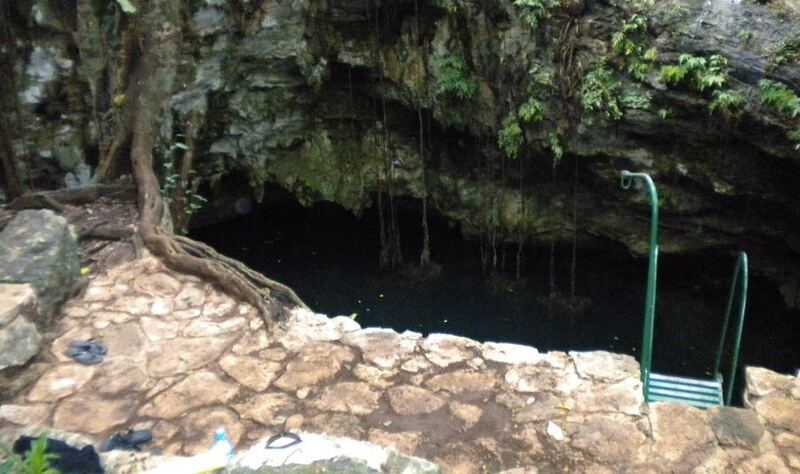 A cenote is a sinkhole, a water hole, a swimming hole. 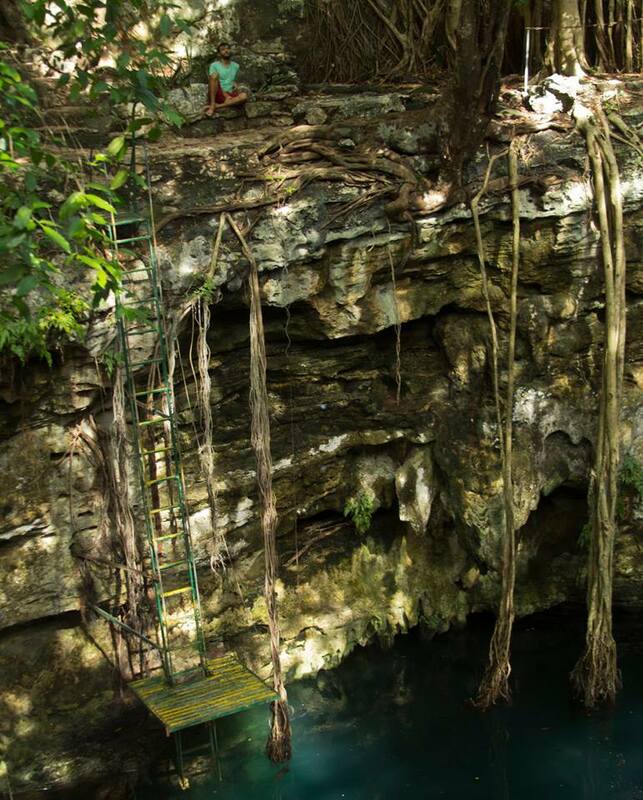 That doesn’t sound like a very pretty place, but in the Yucatán cenotes can be both beautiful and interesting. 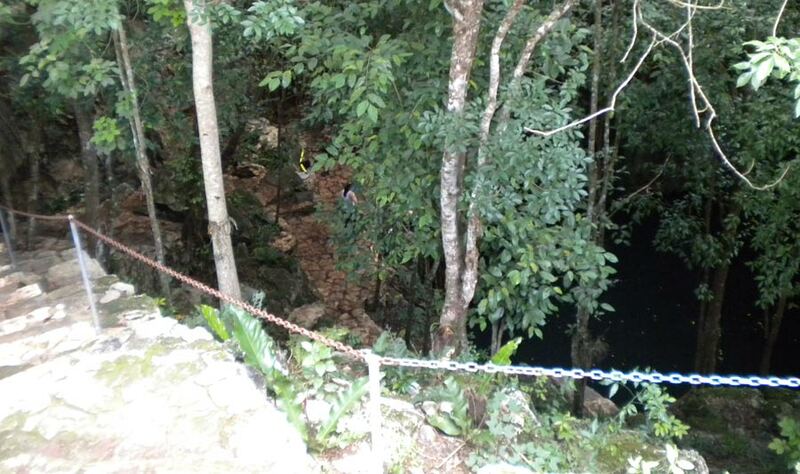 The Peninsula doesn’t have much water at surface level. 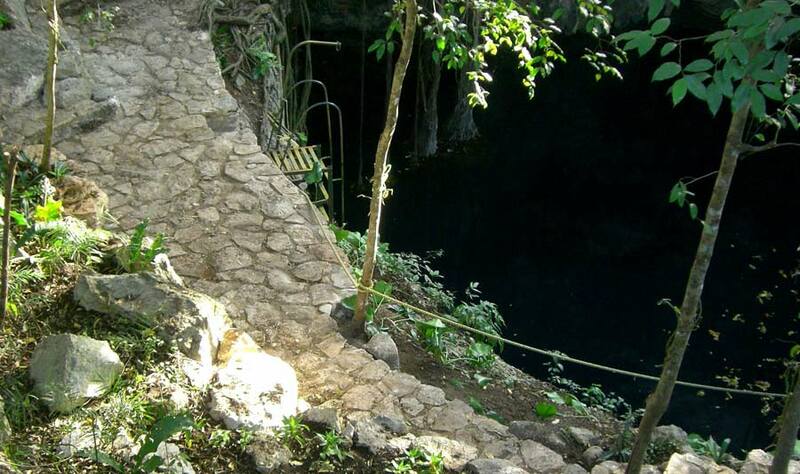 So sinkholes that formed in the limestone become places where the ancient Maya placed their centers, and where modern-day Maya villages are located, as well. 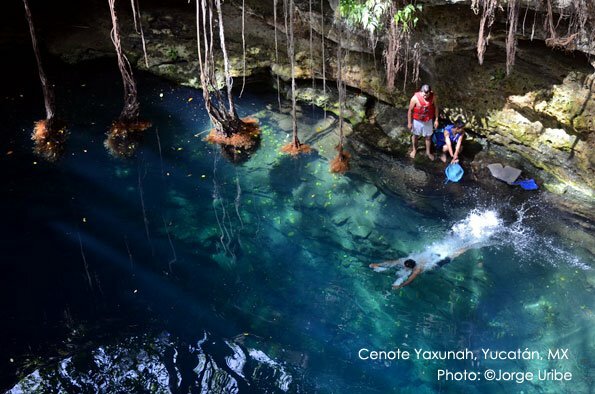 We have a special cenote in Yaxunah. 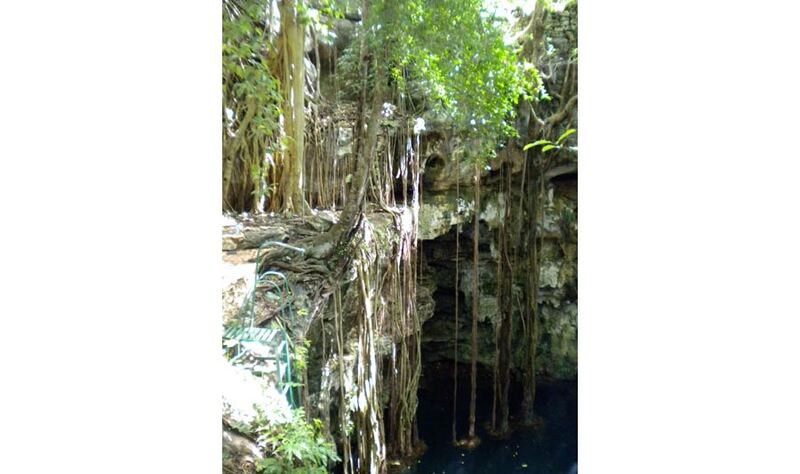 It is covered with trees and lush vegetation. 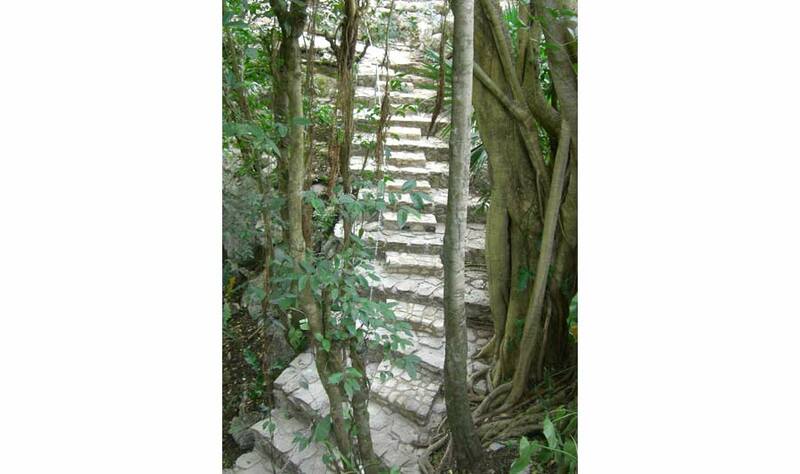 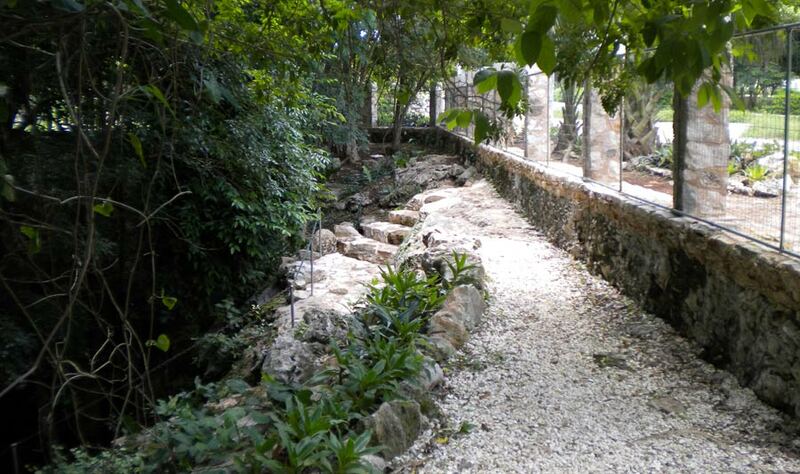 In summer heat it can be 10 to 15 degrees cooler as you walk down the stairs into the cenote grounds. 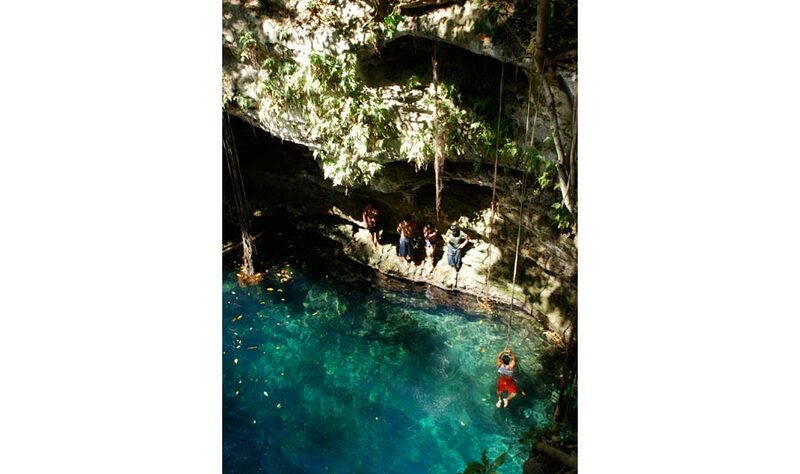 It’s a great place to swim, to picnic, to relax. 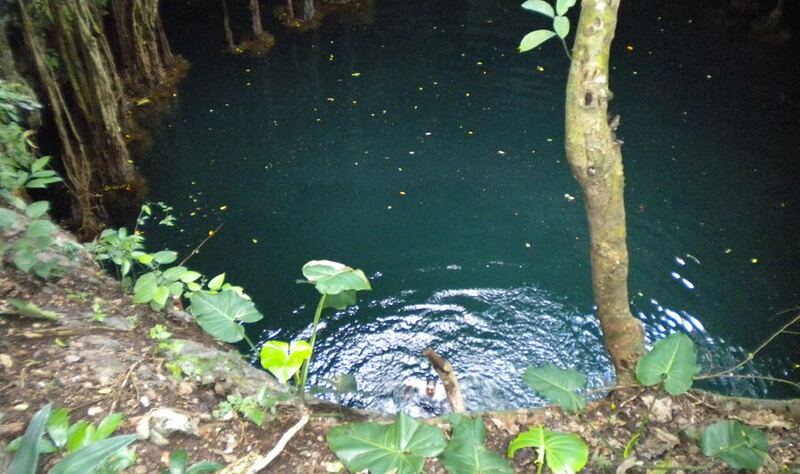 The water is so clear, you can see many meters down. 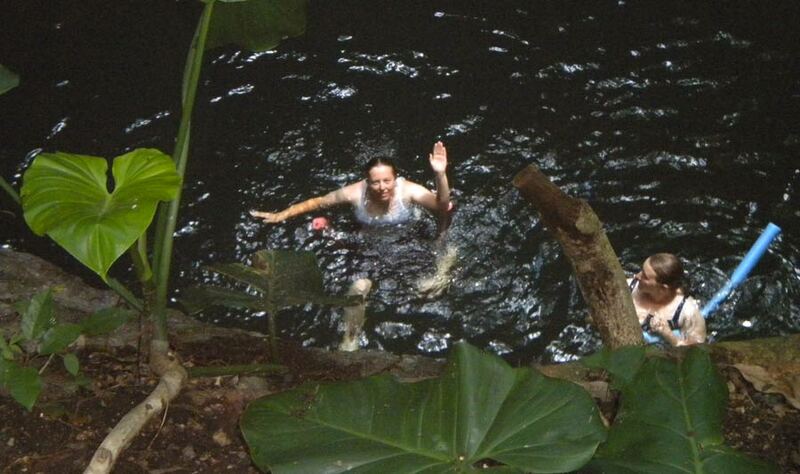 It just invites a splash! 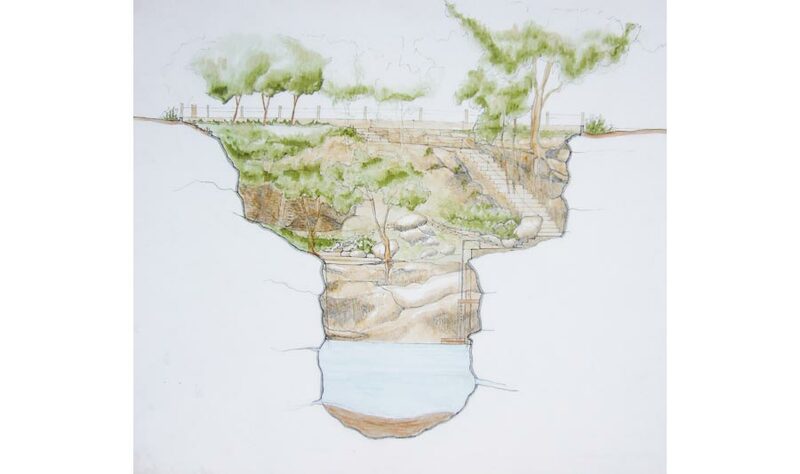 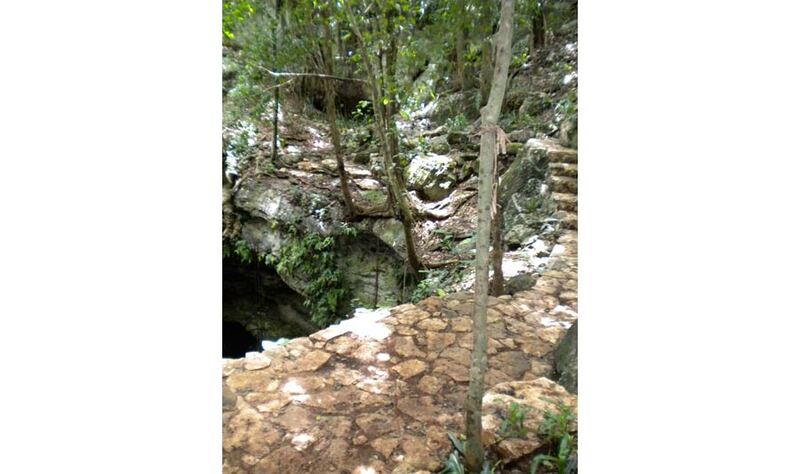 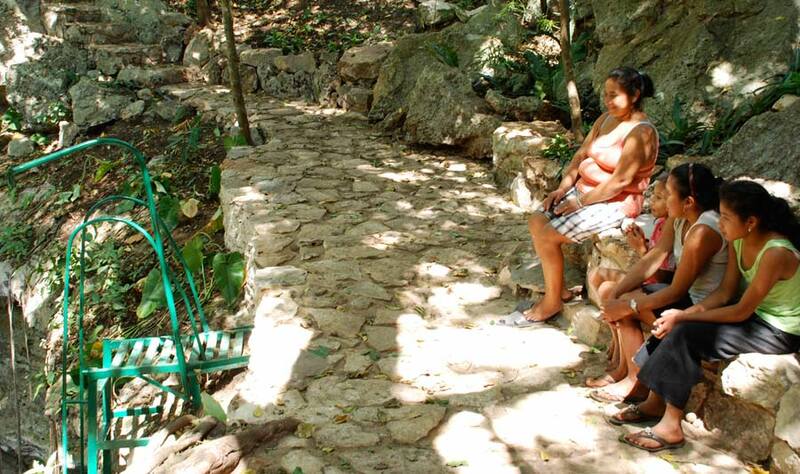 You can see from the pictures we’ve just been involved in a cenote re-beautification project. 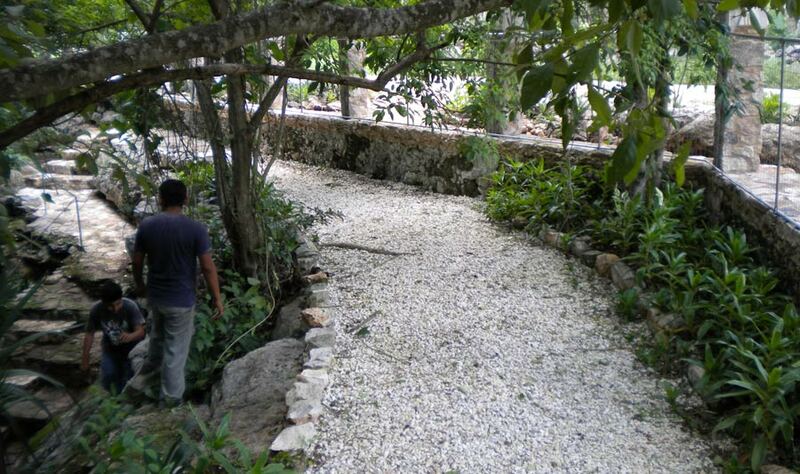 We’ve added more steps and walkways, and many more native plants. 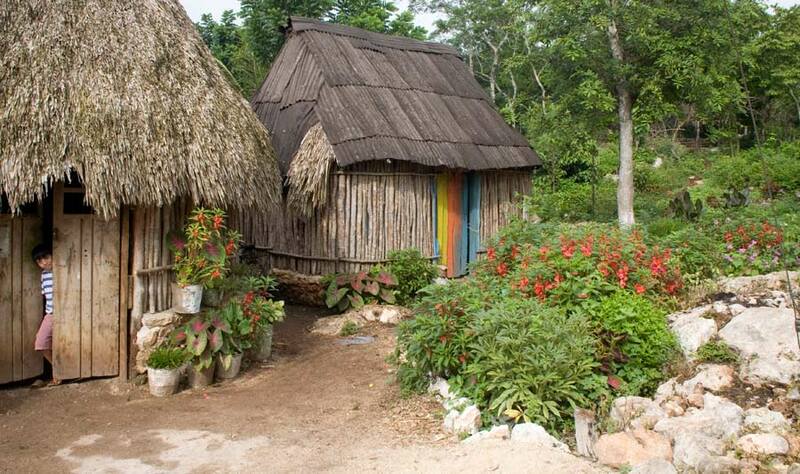 It’s worth a special visit to see. 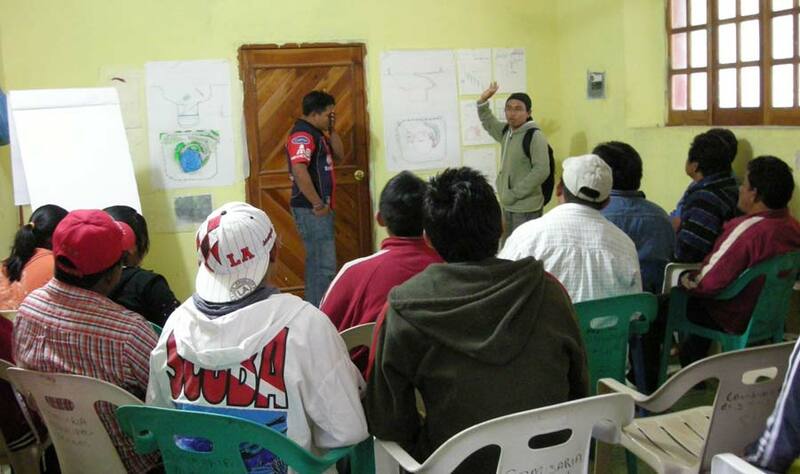 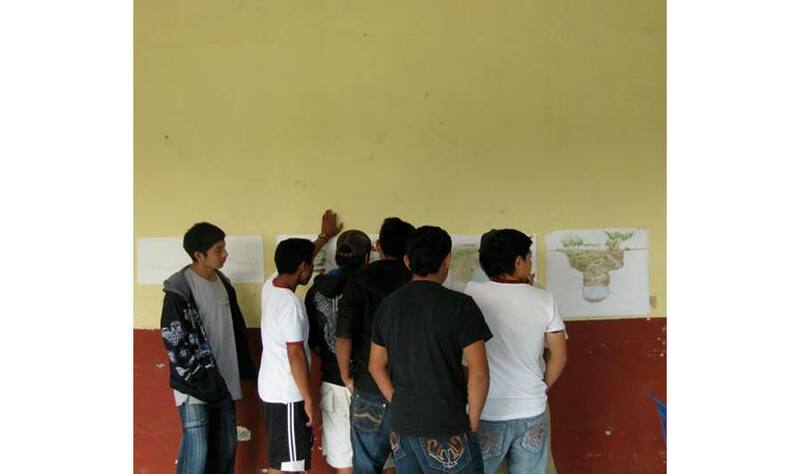 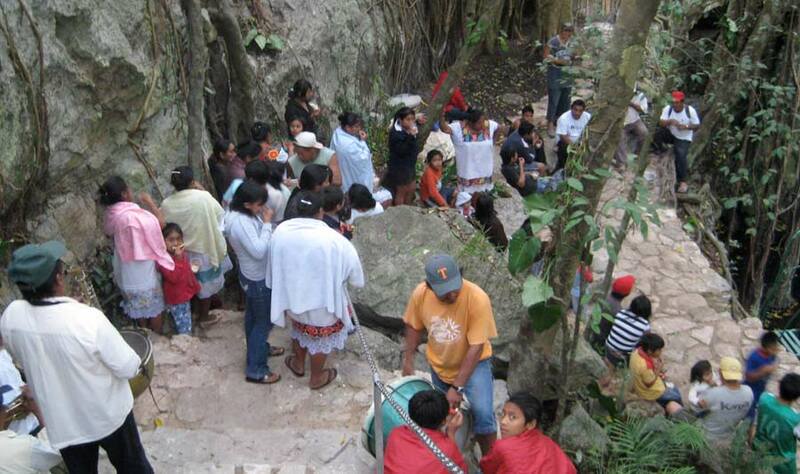 Many villagers participated in the cenote refurbishment design. 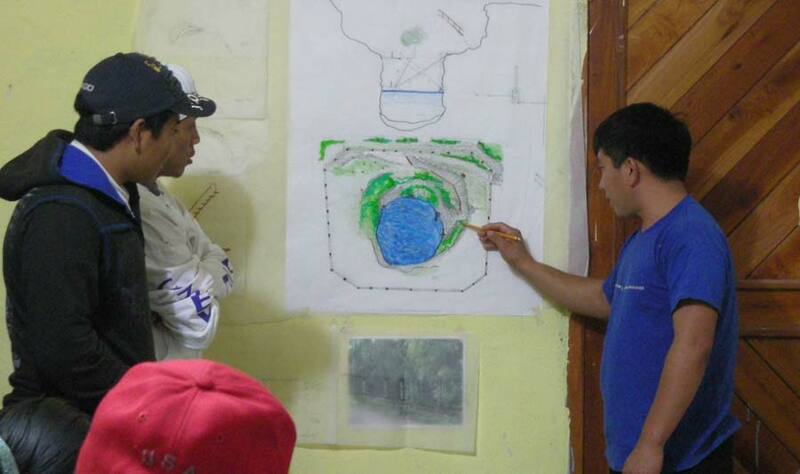 We try to be democratic and all-inclusive in village projects from the design phase to distributing the work. 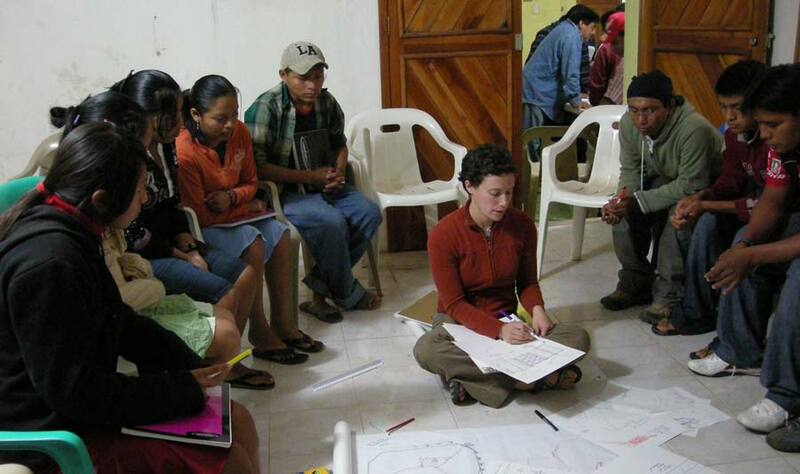 We want every voice heard and everyone to participate.